The Barbados Government has put a temporary freeze on borrowing, even as it reported an improvement in the island’s economic position. 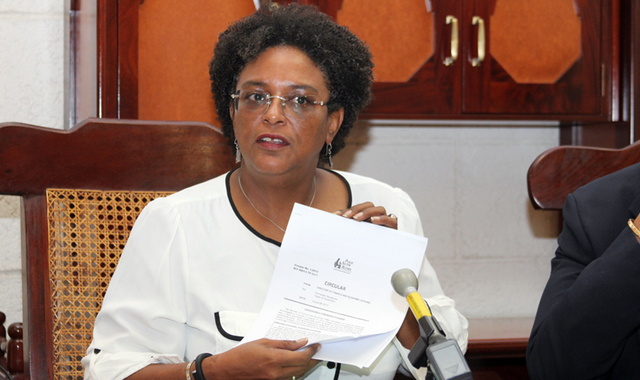 “Over the next four years the Barbados Government will not borrow any new funds. To put the impact of that into context, over the past four years the Government of Barbados has borrowed almost two billion dollars (One Barbados dollar=US$0.50 cents),” said minister in the Ministry of Economic Affairs, Marsha Caddle, adding, “that’s two billion dollars of new Barbadian savings that were drawn into and trapped by Government debt”. She said last May reserves stood at BDS$400 million, but the Government’s US$290 -million External Fund Facility agreement with the International Monetary Fund and other international financial agencies, including the Inter-American Development Bank, have helped to improve the economic situation here.